This tour explores multiscale computation on 3D meshes using the lifting wavelet transform. Then define a function on the sphere. 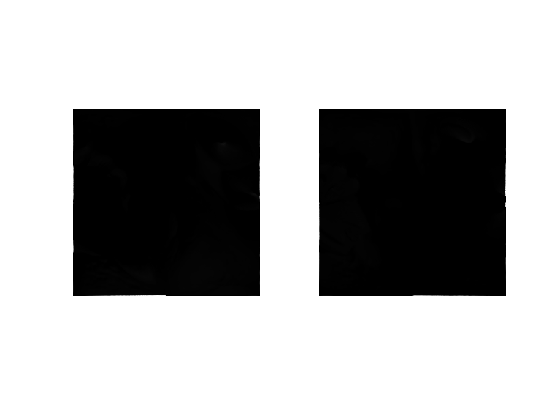 Here the function is loaded from an image of the earth. 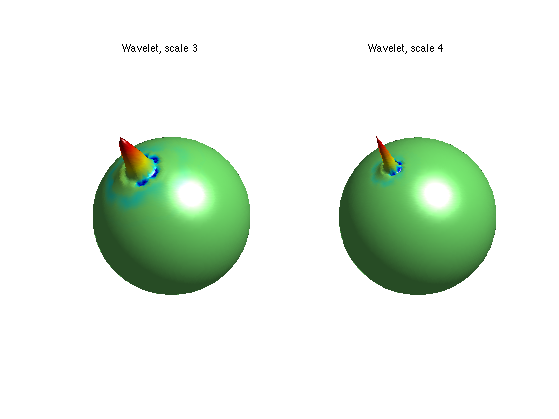 A wavelet transform can be used to compress a function defined on a surface. Here we take the example of a 3D sphere. 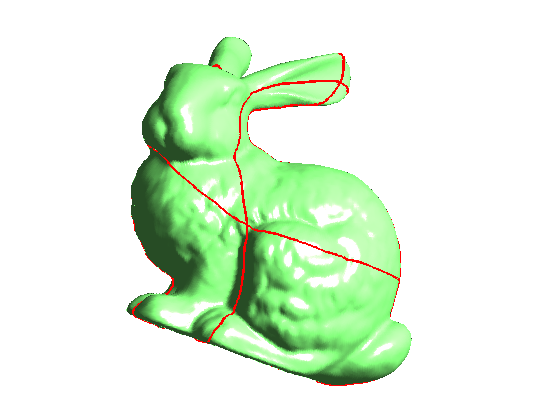 The wavelet transform is implemented with the Lifting Scheme of Sweldens, extended to triangulated meshes by Sweldens and Schroder in a SIGGRAPH 1995 paper. Threshold (remove) most of the coefficient. Exercice 1: (check the solution) Plot the approximation curve error as a function of the number of coefficient. 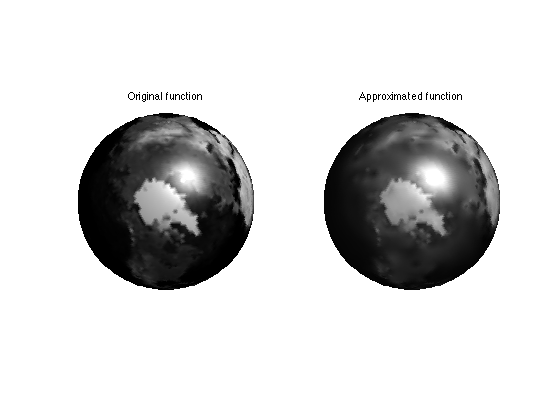 Exercice 2: (check the solution) Perform denoising of spherical function by thresholding. Study the evolution of the optimal threshold as a function of the noise level. Exercice 3: (check the solution) Display a dual wavelet that is used for the reconstruction by taking the inverse transform of a dirac. A simple way to store a mesh is using a geometry images. This will be usefull to create a semi-regular mesh. Firs we load a geometry image, which is a (n,n,3) array M where each M(:,:,i) encode a X,Y or Z component of the surface. The concept of geometry images was introduced by Hoppe and collaborators. 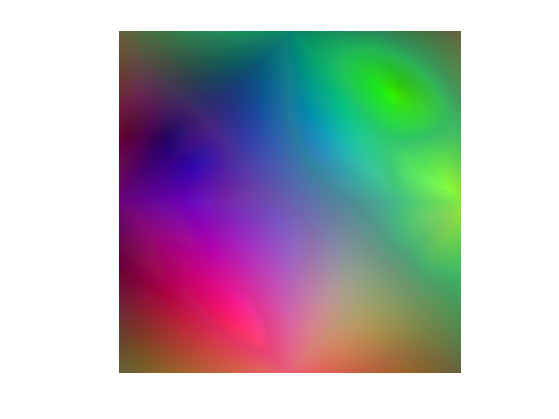 A geometry image can be displayed as a color image. But it can be displayed as a surface. The red curves are the seams in the surface to map it onto a sphere. One can compute the normal to the surface, which is the cross product of the tangent. Compute lighting with an inner product with the lighting vector. To be able to perform computation on arbitrary mesh, this surface mesh should be represented as a semi-regular mesh, which is obtained by regular 1:4 subdivision of a base mesh. 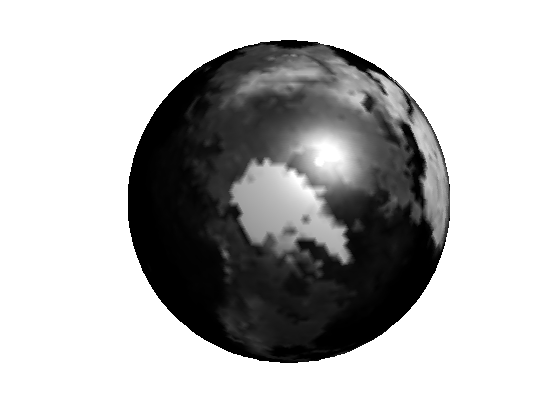 Create the semi regular mesh from the Spherical GIM. We can display the semi-regular mesh.  A wavelet transform can be used to compress a suface itself. The surface is viewed as a 3 independent functions (X,Y,Z coordinates) and there are three wavelet coefficients per vertex of the mesh. The function to process, the positions of the vertices.